Craft beer enthusiast, brand lover and Dutch champion juggler. I've been working in advertising as a strategic planner for 5+ years. My portfolio consist of both creative and strategic work. Whether it's redefining a brand, coming up with new (digital) products or creating creative platforms for campaigns, I never lose the big picture and keep the end goal in mind: strengthen brands and grow business. 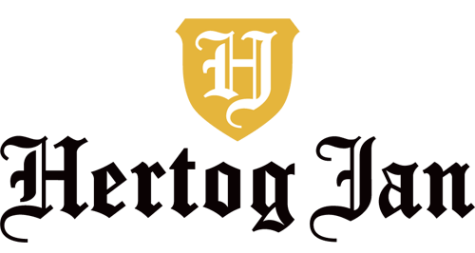 Over the past 4 years I’ve been working as strategic planner on the Hertog Jan brand, one of the ‘local jewels’ of the largest beer brewer in the world AB InBev. It all started with connecting the fans with the brand through a crowdsourcing campaign that let the fans taste and pick a new beer. (This campaign won a SAN award) Based on the insights we gathered from those real life and digital interactions we developed a new big idea that reflects the mutual love for beer between the fans and the brewers: Hertog Jan, Uit Liefde voor Bier (Love for Beer). Numerous digital and integrated campaigns were developed based on this new big idea. All these efforts resulted in a growth of market share with double digits, penetration grew with 25+% and the brand scores a #1 position on all the important key category drivers. All of this with a share of voice far below their main competitors’. After being in advertising for 4 years, I needed some new guidance and inspiration. And that is exactly what I found: I spent the summer of 2013 with 17 other (soon to be) planners from all over the world attending the Account Planning Bootcamp at Miami Ad School New York. Thanks to the 38 industry heroes and instructors that shared their knowledge and coached us in those 3 months, I learned more than I ever could imagine about planning. 'A Planner's Playbook' is my attempt to summarize all that wisdom in 30 short nuggets (or plays, to stick with the metaphor of a playbook) and share it with you. I left out all the difficult frameworks and models and kept it simple by just stating, in my opinion (and in that of my instructors), what a planner should be and do. With 650+ downloads and 17.000+ views the Slideshare has been shared, liked and downloaded by people in the advertising business all around the world. At the end of the bootcamp I was awarded 2 prizes: Best Creative Brief and Best Hustler (best planner according to my classmates). Sultana is known for its fruitbiscuits and has become the name of that category. Introducing a new product line for this brand was a challenge, but not impossible. Sultana Knapperrs differs from fruitbiscuits in the crispiness and available flavours. Research showed that people really like the new biscuits, mostly because of its crispiness. It also showed a different use moment. Instead of breakfast or on the go, people ate Sultana Knapperrs with a cup of tea. To distance the new product line from the fruitbiscuits we decided to highlight those features to claim this new use moment. The ‘Knapperrrrrrrrs voor bij de thee’ campaign had two main components: a TV commercial to raise awareness and a sampling activation on Facebook to generate trial. For the TV commercial we used the voice of radio legend Erik de Zwart and his famous (slightly altered) catchphrase which resulted in a commercial with high standout. Already after the first flight of the tv commercial the baseline revenue grew with 20%. At the end of the campaign penetration of Sultana Knapperrs was 13,7%, which over scored the main objective with 24%. Sultana (part of United Biscuits) is the inventor of the category fruitbiscuits in the Dutch market. A position that came under great pressure due to the rise of hard discount and private label competitors in a time people became more price conscious. In our research we found that the Sultana brand had become the name of the category; people put Sultana on their grocery lists, but bought a competitor's product. The brand was top of mind, the product wasn’t. Dutch people had lost their love for the originator of the fruitbiscuit. We took on the challenge to make Sultana the favourite fruitbiscuit of the Dutch households again. A changed recipe was our excuse to re-introduce the 6 flavours. We asked people to taste all 6 of them and let us know which one was their favourite. 251.000+ people participated in the campaign, and by doing so we reminded all of them of the superior taste and quality of Sultana. The best testimonials were used in the rest of this integrated campaign. With 8% growth in market share and +26% baseline value we didn’t only turn the declining ‘in between meals’ (IBM) market segment in to a growing one, I think it's safe to say we also found some love back for the Sultana fruitbiscuit. For Transavia.com, the budget airliner of KLM, we developed the first completely crowdsourced trip in the world. All of this to activate the ‘service with a smile’ proposition of Transavia.com. For the Transavia.com Fanflight campaign we managed to arrange a whole airplane. Destination, onboard meals, daytime activity and performing artist at the party unknown. During the 4 weeks of campaigning people could vote for their favourite options and the Fanflight trip slowly began to take shape. Together with Radio 538, the most popular radio station in The Netherlands, we gave away tickets for this unique experience. The 32 lucky winners got served sushi in the plane to party island Ibiza, had a relaxing afternoon with massages and tai-chi workshops and partied till late on the beats of DJ Bakermat. The campaign had a reach of 3.000.000+ people, 85.000 unique visitors for the campaign website and 15.000+ participants. Transavia.com’s Facebook page reached the magical number of 100.000 likes during this campaign. The Dutch company Boertiengroep offers training, coaching and consulting to professionals. They differ from their competitors in the way they train people. The use of professional actors and real life role playing make the courses way more effective. It makes the curriculum more comprehensible and applicable for the participants. As a small player in this category we didn’t have the budget for mass media like the main competitors all used to spread their message. We had to be smart and cost efficient. We based the timing of the campaign on the decision journey in this category. January/February is the moment employees explore their possibilities for professional training. They just had their performance review in December and use the holidays to overthink the outcome and course of action. Our campaign, Boertiengroep's Week van de Groeispurt, released one trial lesson video a day, for a week long. People could digitally experience the unique way of training themselves and got a great insight in to the content of the training. A completely different and richer way of offering the information people look for when orientating for a training compared to the norm (brochures and static text websites) in this category. The campaign resulted in a 27% growth of e-mail newsletter subscriptions (an important driver for sign ups in this category) and a 20% increase of sign ups for trainings, compared to the same period the year before. How to sell roadside assistance to young people (<25 year) when the perception of their own car breaking down is shockingly low? A big challenge for Dutch travelers association ANWB. We managed to effectively bring this message to a difficult to reach group. What would you do when you and your friends are on your way to the best weekend of your life, but your car breaks down on the way there? We used the rising popularity of music festivals to explain the relevance of roadside assistance. With a brand activation campaign people could win tickets to the hottest music festivals that summer. We installed custom made chatroulette software, an internet hit at its peak at that time, on 8 iconic yellow ANWB poles (used for roadside assistance a long the highway before mobile phones made them obsolete) and placed them at several festival sites. People could chat with random strangers that were at the other side of the festival. Good for a lot of hilarious, fun and unexpected conversations. On those same festivals roadside assistance was available for free for cars that had trouble starting. A common phenomenon at festivals. This way ANWB had positive interactions and created relevance for a hard to reach target group with a seemingly boring message. The campaign over scored the target with +14% closed memberships in this specific age group. We decided to participate in the Sanoma iPad challenge to force our creative thinking towards the (then just released) Apple iPad 1. The briefing of Sanoma, a media group with 100+ media brands, was simple: come up with an iPad app concept for one of our brands. After a quick brainstorm we came up with a concept for your new best friend on the couch: a social tv guide. Mostly based on our bad experience with digital tv guides combined with the behaviour we saw on social networks of the people that watched tv. The idea, the functionalities and design were there. It seemed enough to win this competition. But we craved for more. Why not act like we already developed the app and release a video with a fake demo to provoke feedback from real people and convince the judges even more? We released a video with our demo on the leading Dutch iPad blog iPadPlanet. Within a few days the video gained thousands of views and numerous positive comments of people who couldn’t wait to download this app. And then... we got disqualified from the competition. The rules clearly said existing apps were not allowed to compete in this competition. Did our approach blow up in our faces? After explaining the whole story to Sanoma we all got so enthusiastic about the possibilities we decided to join forces and develop the app together with their brand Nu.nl (the most visited Dutch news website). Within a few months the Nu.nl TV Guide hit the app store and got a lot of attention in the media. This resulted in thousands of downloads and setting the new standard for digital TV guides. This project was called ‘the greatest fakes of all time’ by Engadget.com. To understand why, we need to go back in time a bit: January 2007. 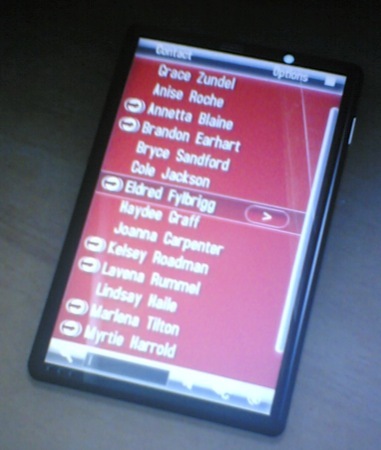 For a university assignment 2 friends and I had worked on a project to define the mobile phone of the future. We came up with a great concept and got everyone we showed the plans very enthusiastic. Everyone felt it deserved more than a good grade. And so did we. So we decided to hop on the whole ‘leaked iPhone images’-bandwagon, that was on its peak at the time, to see what would happen. We almost had everything in place until Steve Jobs announced the real iPhone on the 9th of January in San Francisco. Of course we were blown away. For 2 reasons. The presented device truly was revolutionary. But our concept felt really similar. Instead of giving up on our initial plan, we used the buzz it generated in our advantage. Less than a week later we leaked images of our concept with a backstory about it being the new Google phone. Before we knew, it blew up. Every major tech site picked it up and published it on their front page. Although people were sceptic, our concept generated millions of views and thousands of comments. Wow! Only after we decided to give the scoop to TheNextWeb in 2008, the hoax got busted. And again it made the headlines on all the tech sites.